Since apps are the most important thing why you use the phone, here’re the Samsung Galaxy Note 5 apps tips for you. There many things behind the apps that you can do to manage or to use the apps in smarter ways. Not only will make you amazed, but it will bring a new experience of using Samsung Galaxy Note 5. You will find the most useful apps tips here. There will be three tips exclusive for you to increase the Note 5 usage experience and performances. Of course, they are all about the apps. The three of them is about uninstalling apps, finding the apps quickly and manage your apps. If you are ready for the quick method of using apps in Note 5, read the information below. Most of the users of Note 5 don’t feel that it is essential to have the pre-installed apps from the Samsung in this phablet. Some also decided to uninstall so the free storage will increase and they can use it for other purposes. Since the pre-installed app sometimes doesn’t have any uninstall option, you can do some trick. Start to uninstall by visiting the Setting menu. The scroll down and find the Application option. Tap it and see the Application manager, hit this option. After these Samsung Galaxy Note 5 apps tips at the beginning, try to select the app that you want to uninstall. Tab Uninstall or Disable and wait for the phone to process it. Do this for the installed apps that you did on your own too. It’s much easier and you can directly long-press the app until finding the Uninstall option. Tap it, and you are done to make it. If you want to see your app easily but too lazy to manage it, then find by some feature that Samsung offers. Use the S Finder that you can find through the notification bar. Type the apps or data that you need. You will find it quickly. If you want to find the essential apps easily, try to handle it. You can choose only to provide the necessary apps on the primary home screen. If you think there are many essential apps, then make an app’s folder. It will help you to find it quickly, especially when you are in a hurry. Isn’t it interesting enough to manage well your apps? 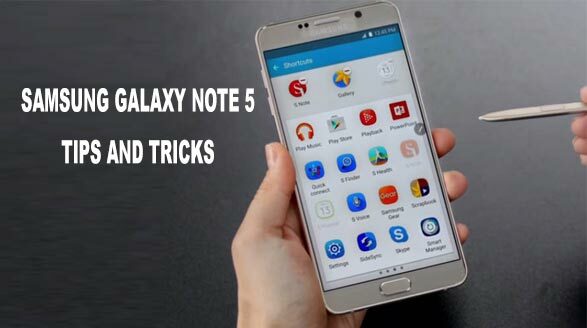 Now, follow those Samsung Galaxy Note 5 apps tips and enjoy the apps’ easier accessibility.